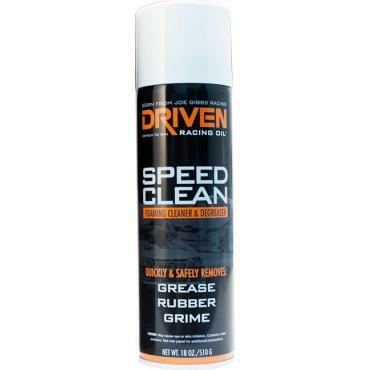 Speed Clean’s foaming action lifts away honing residue from cylinder bores and cleans away greasy films. Excellent for cleaning away cosmoline and microscopic dirt and debris from new engine parts prior to assembly. Prepares the surface for full adhesion of the assembly lubricant. Simply spray on, let soak, and then wipe off.